ETD is pleased to announce the successful recent completion of a root cause failure analysis project for a North American based plant. The plant was experiencing a failure of the IP Economiser outlet header tube. During the HRSG inspection, a pin hole leak was observed on the stub tube of IP Econ OH and the plant decided to replace the portion. The pin hole leak was found 6mm away from header-tube weldment (fillet weld). 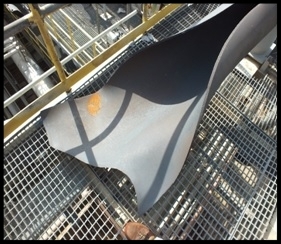 After the incident, the client completed extensive inspection on the header and dye penetrant test and no abnormalities were found. Therefore, ETD was invited to submit a proposal to carry out failure analysis of this IP econ tube sample removed from the failed area. The work involved performing tube failure analysis study based on laboratory testing and assessment of one removed tube sample. Report covering results of investigations, failure analysis & recommendations for remedial actions to prevent repeat tube failures. ETD has established expertise in the failure analysis. For more information about our failure analysis services please click here. ETD is pleased to announce the recent completion of a root cause failure analysis project. A European based client approached ETD to provide a quote concerning matters on its boiler and was asked to perform review of 10 reports for tube deposit analysis and make recommendations for boiler chemical cleaning. Preparing a final report covering results of all above investigations & recommendations for any suitable actions to be taken for safe operation of the boiler. ETD is pleased to announce the successful recent completion of a root cause failure analysis project. A Middle Eastern based client was experiencing frequent boiler water wall tube failures and some of the tubes have ruptured. Due to the number of frequency of tube failures experienced in boiler water wall the urgency to be able to identify the problem and take palliative measures to stop or reduce the failure is evident. ETD was approached to provide a quotation to perform Root Cause Failure Analysis (RCA) of a Waterwall Tube Sample. The principle objective of this investigation was to examine the failed tubes samples (two samples from two separate incidents) in order to determine the failure / damage mechanism(s), to assess the micro structural and mechanical condition of the tube material, to examine the internal and external surfaces of the tubes for corrosion / oxidation damage and to examine them for the presence of cracks and manufacturing defects. This led to the identification of the root cause of the failures and allowed ETD to make recommendations concerning remedial actions that may be possible for improving the tube life and avoiding repeat failures. Chemical analysis of the tube bore deposits to determine the cause(s) of cracking and the chemical cleaning agent most appropriate for the job. Deposit thickness will also be determined which also determines if chemical cleaning is required and what type. Recommendations will be made for suitable chemical cleaning companies, if required. A full report was then issued detailing the findings of the investigation with all analytical data and photographic records. Including recommendations for appropriate chemical cleaning solvent formulation based on the analytical data. For more information on our Failure Analysis services please click here. Following a recent failure of a HP steam pipe, a client invited ETD to submit a proposal to carry out Remaining Life Assessment (RLA) of a HP bypass steam piping system and Root Cause Failure Analysis (RCA) of a failed pipe section. The work involved performing RLA and RCA study including recommendations to prevent any future failures based on data review, pipeline stress analysis, laboratory testing and assessment on the HP bypass steam piping system and the failed pipe section. Chemical analysis of filler material to determine the chemical composition of the filler to establish actual material constituents. Assessment of the heat‐treatments (incl. PWHT) from microstructural examinations, quality of welds and fabrication defects in welds. Reviewing the design/ isometric drawings clearly showing all dimensions and piping connections of HP bypass steam piping system. Reviewing and analysing the inspection data/ information of hangers and supports collected during hot and cold condition inspection. Performing pipeline stress analysis of the piping system using CEASER II software. 4. Reviewing the existing welding & NDT records obtained from construction and during replacement of failed piping. 6. Performing life assessment of higher stress regions of the piping system based on the findings of pipeline stress analysis. 7. Submitting a report covering results of investigations, failure analysis, stress analysis, life assessment, detail explanation of root causes & recommendations for any further actions to be taken to prevent reoccurrence of failures and for safe operation of the component. For more information on our failure analysis services, please click here. An Asian petrochemical plant requested ETD to provide a quotation to perform testing, Root Cause Failure Analysis (RCA) and Life assessment Study, initially for two methanol reformer pigtail parts that have been removed from service. It was then proposed to examine a further four pigtail samples (two that have been removed from service, and two as-new samples). Basic review of design drawings, design & operating parameters, previous failure and maintenance history. Detailing condition assessment and/or RCA based on the findings of above investigations to determine whether there are any damages/ cracks and the root cause(s) of the damage. Remaining life assessment of the pigtail components based on the findings of above detailed investigations. Examination of these specimens using Scanning Electron Microscope (SEM) to assess the presence and volume of gamma-prime phase and perform detailed analysis of microstructure. Comparing of the results, to determine the effect of in-service aging on the component. Compiling a report covering results of all above investigations, condition & life assessment, root cause analysis & recommendations for any further actions to be taken for safe operation of the pigtail components which are in service. ETD is pleased to announce the successful recent completion of a failure analysis project. A Middle Eastern power plant invited ETD to submit a proposal to carry out failure analysis of 3 (three) links chain samples removed from the failed/ damaged areas. 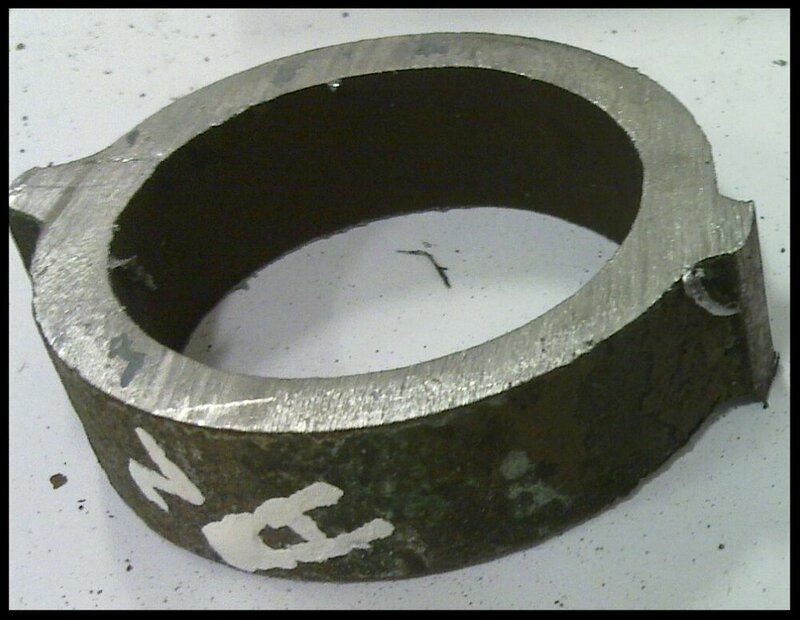 The work involves performing chain failure analysis study including root cause analysis of damage mechanism(s) based on laboratory testing and assessment on the removed chain samples. Firstly, visual and dimensional examination was performed in order to assess any obvious issues with the quality of surface appearance of the samples, corrosion damage, past repairs and any other signs of distress etc and to select representative locations for more detailed investigation such as locations of the exact failed areas or where the presence of any defects/ corrosion has been detected. Secondly, metallographic examination was completed on sections through the wall of the chain samples using optical microscopy. This enabled the condition of surfaces to be assessed and the damage mechanism(s) to be identified. The microstructure was then examined for evidence of degradation and to identify the damage mechanism(s). Next, hardness testing and evaluation was performed on the chain material to assess the mechanical condition of the material. The measured hardness values were converted to equivalent tensile strength values (using published hardness/UTS correlation tables, ASME standards etc) to assess the mechanical strength or softening of the chain materials. Then, chemical analysis of the base material concluded to determine the chemical composition of the chain material to establish actual material constituents which will be compared against standard design specification. Once we had the results from above, Root Cause Failure analysis (RCA) was carried out based on the detailed information gathered on respective components. Lastly, a report was issued detailing the findings with photographic records including test results, images, detail explanation of root causes and highlighting any possible causes for concern and the chain integrity. The report also included recommendations for possible remedial actions that may prevent re-occurrence of failures and improve component integrity. For more information about our failure analysis services please click here. Following recent findings of a leakage ETD were approached to carry out root cause failure analysis on an economiser tube removed from a coal-fired power plant in the Middle East. ETD Consulting (ETD) has been involved in a number of consultancy projects and is internationally considered to be an industry expert in matters concerning power plant materials, operation, maintenance, inspection and life assessment, failure analysis, particularly for issues related to carbon steel, low alloy steel & P91/ T91 steel components. ETD has been involved in a number of failure analyses including root cause analysis of damage mechanism, inspection and consultancy projects concerning carbon & all alloy steels for power plants worldwide. Report covering results of investigations, failure analysis, detail explanation of root causes & recommendations for any further actions to be taken to prevent reoccurrence of failures and for safe operation of the component. ETD is pleased to announce the successful recent completion of a failure analysis project. An Asian based client approached ETD to provide a quotation to perform Root Cause Failure Analysis (RCA) of a push plate sub sample. Basic review of design drawings, operating parameters, previous failure and maintenance history. Root Cause Failure Analysis (RCA) based on the findings of above investigations. Report covering results of investigations, RCA and recommendations for any further actions to be taken for safe operation of the components.